Hello all! I'm having a great day, I hope you all are too:] I did some major hauling last night, so you'll see that really soon.. 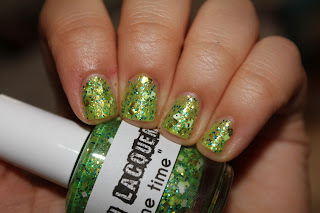 I have a fun green polish for you today from Lush Lacquer: Slime Time! 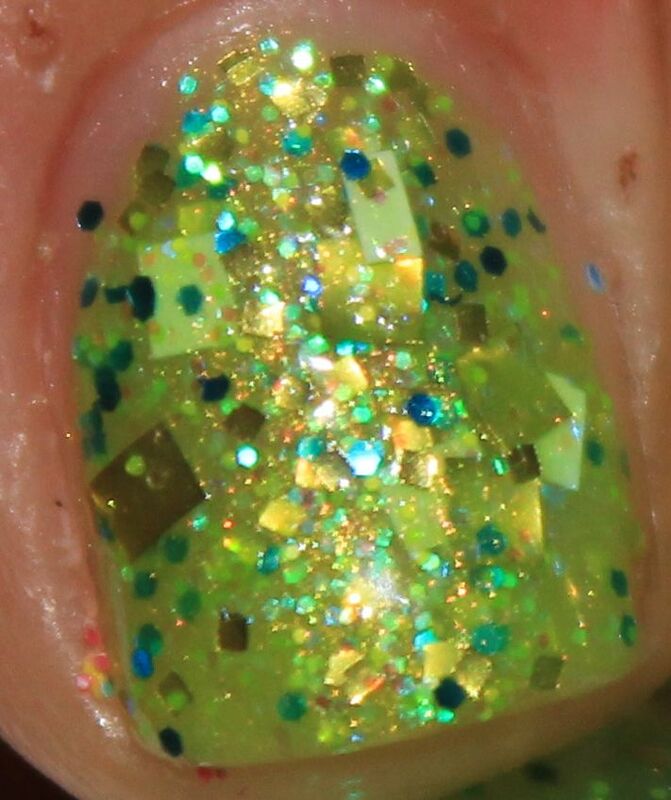 Sidenote: I want basically all the polishes from that shop, it's ridiculous. This one is my first purchase, and I like it a lot. 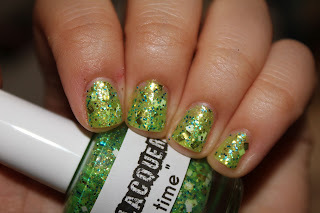 It is a little on the sheer side, but 3 coats makes it opaque and you really get a lot of glitter on each nail! Isn't this one just so fun? I'm in love with the blue glitters in here, it really makes it special for me. I love this one! It's pretty and the name is cool too. 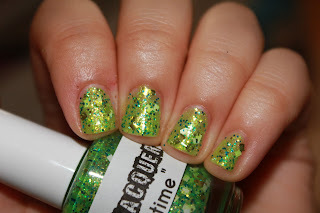 I have about six polishes on the way from Lush Lacquer, Slime not being one of them - boo! I love it! Oooh Slime! What an awesome color!